Check out our latest project we call the Rainbow Loom Bracelet Display Board! It’s an upcycle or recycle project we made using an old outdated picture frame. Rainbow Loom bracelets have taken over my house! They are everywhere! They are getting tangled or even worse, lost! Have you ever tried to help a child find his or her prized loom bracelet? Oh yeah… I bet you know what I mean. 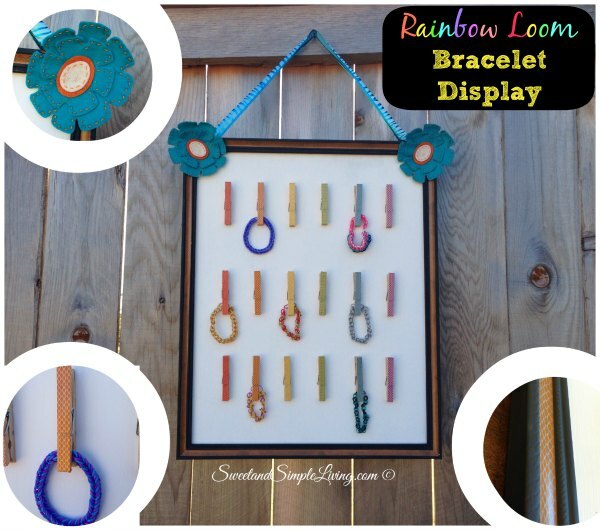 This Rainbow Loom Bracelet Display Board was made for a girl but you can totally change up the theme and turn it into a boy project too. Just match it to your child’s favorite theme or colors. It is an absolute joy to have all the loom bracelets hanging in one spot with easy clips that any child can use. First we started of by painting that old ugly gold picture frame. Once the paint was dry we used a staple gun to attach the ribbon on the back side of the board. 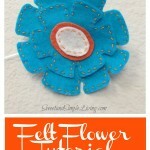 We created some cute little felt flowers as embellishments for our board (stay tuned for a post tutorial with a template). We hot glued those directly onto our frame. We also decorated the border of our frame with even more washi tape. 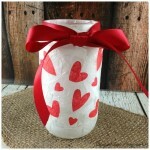 Next we took all of our favorite colors of washi tape and taped up our wooden clothes pins. We marked out exactly how we wanted them displayed on our board and used gorilla glue to adhere them to the board. 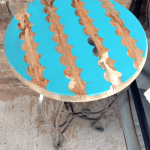 Tip: it only takes a tiny bit of gorilla glue and about an hour dry time to complete this step. 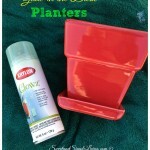 Gorilla glue is one of my favorite glues because it works so darn well on almost any surface. I always keep some in stock. 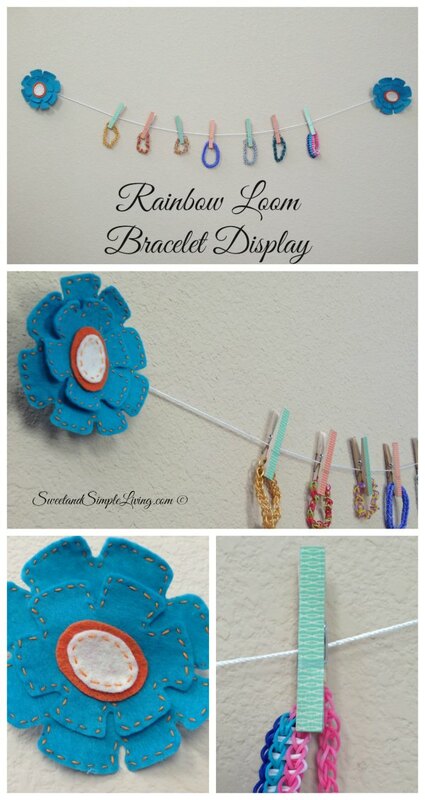 Now if you didn’t want to make a board for your display you can also hang a simple string with clothes pins as a super simple Rainbow Loom Display too. We’ve added some felt flowers at the end of this string and it came out absolutely beautiful too! 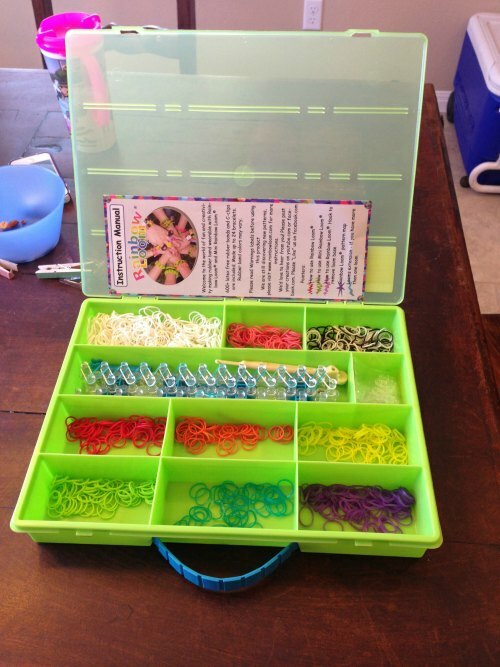 Lastly, I highly suggest a storage box for all those extra Rainbow Loom rubber bands. Here’s ours. I found some pretty good prices on storage boxes here. So what do you think? Is this something you would make? Feel free to share this one with your friends!